The number of changes, businesses are needed to undergo these days, are enormous to update oneself on the current standards. Businesses are leveraging technology as an integral part of their daily operations, either as how they operate on a daily basis, or how they process orders. Hence, implementing technology in the day-to-day activities is the need of the hour. This is where digital marketing comes into the scene, says RajKumar Jalan, CEO, Indiaonline.in. - It is an exceptional way for promoting SMEs aiming to compete with well-established brands. 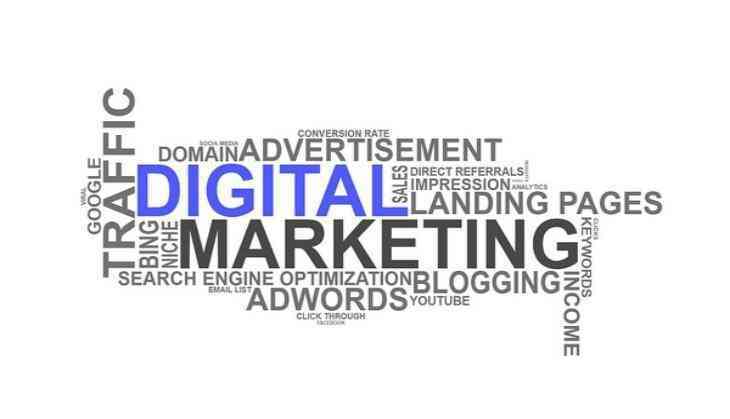 - Digital Marketing as a solution is much more cost-effective than any conventional modes of advertisement in reaching out to target potentials, while establishing a direct contact with both, current and potential customers. - Targeting the reach of any Marketing campaign is only possible through Digital Marketing, which ensures the prices at which these solutions are available are cost-friendly for SMEs. - Digital Marketing Solutions come with a lot of statistical capabilities as well, which helps SMEs to put in their time and money to the most effective audience only. - It assists SMEs in connecting with experts who keep themselves up-to-date with the developments taking place. - SMEs should first chalk out a reason for requirement i.e a strategic plan that talks about the goals and why is digital marketing required in the first place. This helps in demarcating goals and working towards them in an efficient manner. - SMEs should update themselves on the current trends of digital marketing by reading current news or popular blogs. The thought of experimentation shouldn't bring fear within them; setbacks might be aplenty but there is a huge scope of learning that comes naturally with time. - Tracking as well as scrutinizing website statistics is essential since it keeps SMEs updated about visitor demographics, while providing helpful insights into the population segment of the website visitors. This, in turn, helps in crafting marketing efforts effectively, in respect to the target in mind. - SME's should supplement their digital marketing endeavours with a strong offline marketing plan. This can encompass anything from experiential marketing to indigenous ways of organic promotion. This will often help organizations prevent their marketing plan from becoming a one-trick pony. Currently, two options are feasible here - opting for a professional service from a digital marketing agency or going the self learned way through educating oneself about various ways to promote. Although, the latter has its share of positives, the first option should be the obvious choice for most SMEs as it saves time, and energy, while getting the best digital marketing service from experts, into play. As time progresses, it is becoming difficult to ignore the benefits SME's can get from investing their ideas and capital in a digital marketing campaign, in comparison to depending upon just traditional marketing mix. With time we'll get to see further developments which would truly empower this valuable form of marketing to revolutionize our consumption pattern.